The unofficial start of summer arrived last weekend and the official start of summer is just around the corner. The weather is warm, municipal and private pools are open and school is almost done for the year. Another sure sign is the arrival of the annual Brandywine Health Foundation’s Strawberry Festival. 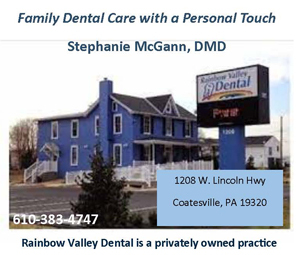 This weekend, the 46th Annual Strawberry Festival will take place on the grounds of the Brandywine Hospital (201 Reeceville Road, Coatesville, 610-380-9080, www.brandywinestrawberryfestival.com). The free event, which is running now through June 3, features a variety of food vendors, a run and a family fun walk, amusement rides, live entertainment, an arts-and-crafts show, children’s games and, of course, strawberry shortcake. The list of attractions also includes “Strawberryland,” an international food fair, a “Craft, Artist and Business Vendor Fair,” a used book sale, the “Strawberriest Kid Contest” and raffle drawings. “Strawberryland” features a wide array of activities for young kids, including a Moon Bounce, an inflatable obstacle course, inflatable slides, carnival games and the “Strawberry Train.” This area is recommended for kids 7 and younger and features an all-inclusive price of $10 a day. The festival also features a spectacular fireworks display on June 1 at 9:45 p.m. This weekend, it’s also time for the annual Strawberry Festival at Linvilla Orchards (137 West Knowlton Road, Media, 610-876-7116, www.linvilla.com). The free festival will be held Saturday June 2 from 9 a.m.-5 p.m. on Linvilla’s grounds in Media. The festive event will feature children’s entertainment, hayrides, pony rides, face painting, costumed characters, children’s games and contests, live music, ice cream sundaes, giant strawberry shortcake and strawberry treats. 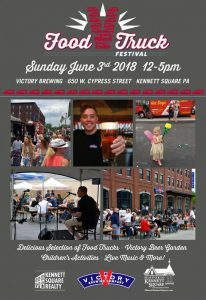 Other special attractions will be demonstrations of how to make strawberry jam, a hula hoop contest, a photo booth, the Delaware Valley’s largest Strawberry Shortcake, special appearances by Strawberry Dog, Vet Girl, Absorbent Sea Creature, Sustainable Richie, Officer Offbeat and Lolly & Yo-Yo. There will also be live music — Strawberry Jammin’ with Judi. 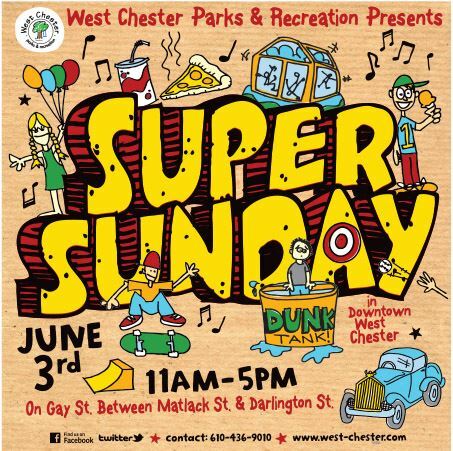 http://www.west-chester.com) will be held on June 3 from 11 a.m.-5 p.m. 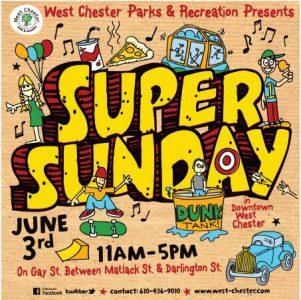 Sponsored by West Chester Parks & Recreation, Super Sunday is a giant street festival taking place in downtown West Chester on Gay Street between Matlack and Darlington. The free event features approximately 100 crafts exhibitor booths, a variety of food vendors, amusement rides, jugglers, clowns, an antique car display and children’s fun zone featuring a variety of moon bounces, a climbing wall, a zip line, a giant slide, and a trampoline. Children’s entertainment includes TCL Clowns, a strolling act with balloon creations; Hooping with Dana; Harrison’s Dance Studios; Ryan Shiflet, a strolling juggler; and “The Story of Deborah Chessler” with Sonny Til and the Orioles strolling acapella. Parking in all Borough of West Chester garages is $5 for all day. The Brandywine Valley has quite a few museums and tourist sites that provide residents and tourists ideal opportunities to spend leisure time — and you can maximize your effort if you take advantage of the 2018 Brandywine Treasure Trail Passport. The cost is $45 for an individual pass and $95 for a family pass (for up to five family members). 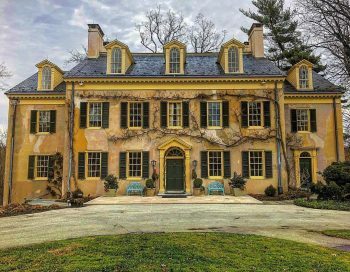 The Brandywine Treasure Trail Passport is good for one-time admission to Wilmington and the Brandywine Valley’s top attractions now through September 3. A family pass, which includes one-day admission to each of 12 sites, can bring a savings of over $200 for the holders — especially since many of the participating institutions have regular admission fees in double figures. The list of locations covered by the Brandywine Treasure Trail Passport includes Longwood Gardens, Delaware Museum of Natural History, Brandywine River Museum, Delaware Art Museum, Delaware History Museum, Hagley Museum and Library, Delaware Center for Contemporary Arts, Nemours Mansion & Gardens, Read House and Garden, Mt. Cuba Center, Rockwood Museum and Winterthur Museum, Garden & Library. 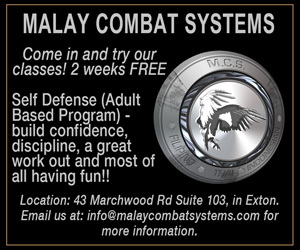 For more information, call (800) 489-6664 or visit www.visitwilmingtonde.com/bmga/. For a fun and educational day for you and your children, consider a visit to the Brandywine River Museum (Route 1, Chadds Ford, 610-388-2700, http://www.brandywinemuseum.org) on June 3 from 11 a.m.-2 p.m. In addition to a variety of activities geared for kids, the event will also celebrate the tradition of painting outdoors — en plein air — with demonstrations by members of the Philadelphia Water Color Society and a creative circus performance and Brandywine River crossing on a tightwire by the Funicular Circus. Teaching artists will lead art-making activities for all ages. Also, dancers from BalletX will present a lively and imaginative “Pop Up” performance. BalletX is Philadelphia’s premier contemporary ballet company. There is usually a special theme each year for the annual Bayard Taylor Memorial Library Home & Garden Day Tour (various locations in southern Chester County, 610-444-2702, www.bayardtaylor.org). In recent years, some of the themes have been gardens and historical authenticity. This year marks the 27th anniversary of the Library’s Home & Garden Day Tour. The rolling hills of northern Delaware and southern Chester County in Pennsylvania provide a beautiful backdrop for exquisite properties. Traveling through Delaware’s Chateau Country, so named for the du Pont estates running throughout, one may not realize there are grand residences tucked away out of plain sight – the area’s hidden gems. The 2018 Bayard Taylor Home and Garden Tour features some of the hidden gems, as well as other splendid homes and gardens. Visitors will also be able to sample food and beverages from local restaurants and merchants. In addition, local plein air artists will be painting in some of the gardens. Please be aware that several of the properties will require walking a bit from the parking area to the home. Some have an area near the tour’s entrance where people may be dropped off if parking is more distant. Walkers and wheelchairs cannot be accommodated on this tour. And, no children, high-heeled shoes or cameras (or photos with mobile phones) will be permitted. The event will be held rain or shine. Tickets for the tour are $40. 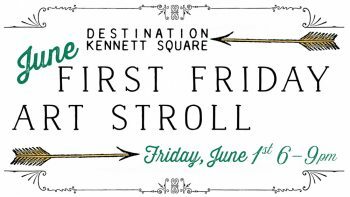 Kennett Square will celebrate First Friday with its “Expanded Art Stroll” (downtown Kennett Square, http://historickennettsquare.com) from 6-9 p.m. on June 1. Residents and visitors are encouraged to wander along the tree-lined streets and browse the many businesses that stay open late. Participating venues will be designated with balloons. Other activities in Kennett Square on June 1 are the First Friday Flea Market and Historick Kennett Square’s Evening of the Arts. Historick Kennett Square’s Evening of the Arts will be held from 5-8:30 p.m. in the Genesis HealthCare Building (101 E. State Street, Kennett Square). Visitors are invited to enjoy an evening of local and regional artists, a classical quartet with members of the Kennett Symphony along with light fare from local restaurants, beer from Victory Brewing Company and wine from Galer Estates. Historic Kennett Square is presenting a First Friday Flea Market in conjunction with the Kennett Square Farmers Market. The flea market will feature collectors/vendors with clothing, paper, housewares along with an array of crafters and artists with original work. The First Friday Flea Market will run frim 4-8 p.m. at 128 East State Street. 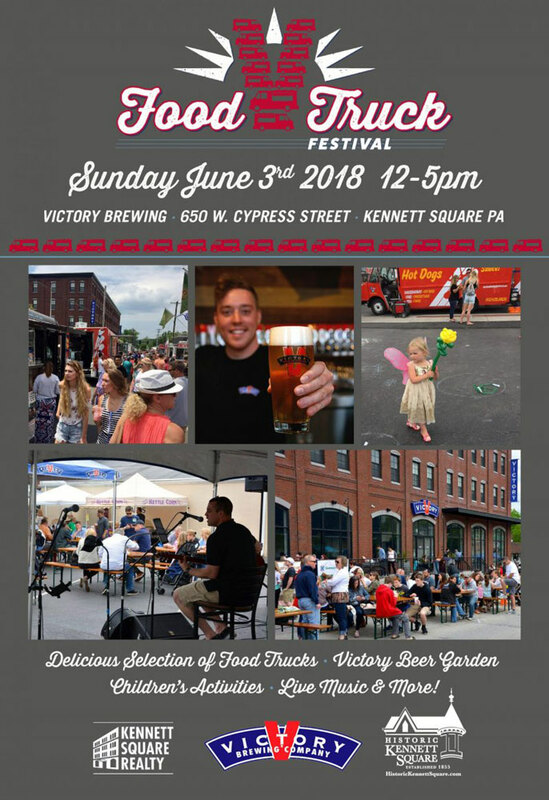 On June 3, Victory Brewing is presenting its Third Annual Food Truck Festival from noon-5 p.m. at Kennett Square Brewpub (650 West Cypress Street, Kennett Square, http://www.victorybeer.com). The Food Truck Festival will feature local food trucks, live music, a kids’ zone and a Biergarten. As an added highlight, there will be a performance by Longwood Performing Arts and Bavarian Motorsport will be hosting a car show. 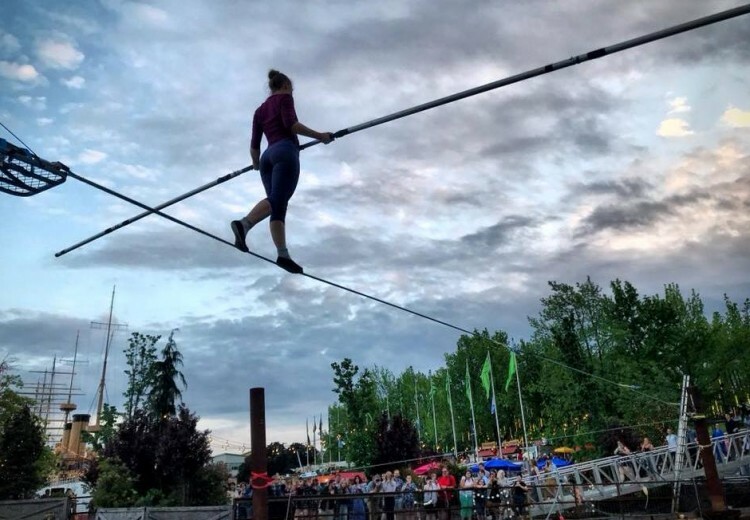 The Big Apple Circus, which is celebrating its 40th anniversary, the circus has taken up residency at Philadelphia Mills (1455 Franklin Mills Circle, https://bigapplecircus.com/tour) for a run now through June 24. After working as street performers in Europe, Paul Binder and Michael Christensen returned to New York City and founded the Big Apple Circus which debuted in 1977. 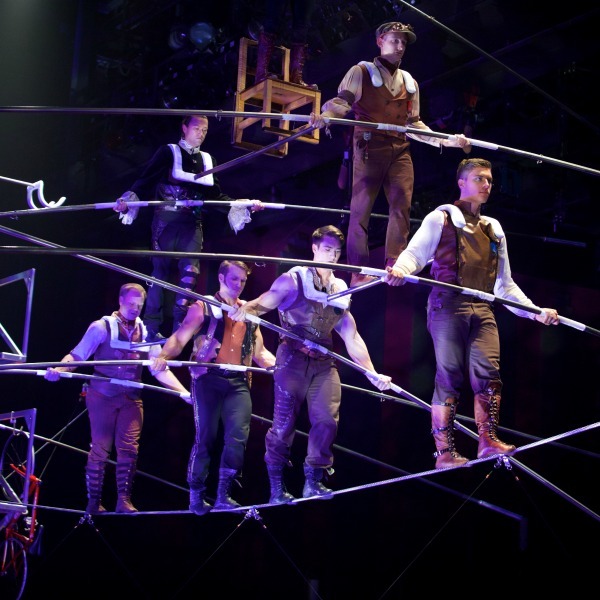 Begun as alternative to the glitz and spectacle of the American three ring circus, Big Apple Circus has epitomized the intimacy and artistry associated with the European one ring circus. Many of the world’s greatest circus acts have performed under the Big Apple Circus Big Top. Each year a new show with a new theme is created by many of New York’s most creative directors and designers. This 40th Anniversary Show is no exception. Never before in circus history have the two most daring aerial feats been attempted under the Big Top in the same show. 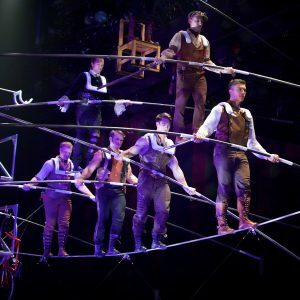 Nik Wallenda, the “Greatest Daredevil of Our Generation” and 10-time World Record Holder, and the Fabulous Wallendas will perform the seven-man pyramid on the wire high above the ring. And, on the flying trapeze, Ammed Tuniziani of the Flying Tuniziani’s will attempt the elusive quadruple somersault to the hands of his catcher. Some of the other featured acts are Gamil Garcia, Tuniziani, Jenny Vidbel, Ty McFarlan, Dandino, Elayne Krame, Jan Damm, the Anastasini Brothers and Joel Jeske. The Academy of Natural Sciences of Drexel University (1900 Benjamin Franklin Parkway, Philadelphia, 215- 299-1000, www.ansp.org) has just opened “Xtreme Bugs” – an exhibit that features the mind-boggling behaviors and extreme characteristics of some of the earth’s most fascinating creatures. “Xtreme Bugs” features nearly 20 giant, moving, hissing, clicking insects from around the world, including an18-feet-long wiggling centipede, a five-feet-long blood-sucking bed bug, and a 12-feet-tall hissing, pink orchid mantis. “Xtreme Bugs” blends technology, science, artistry and imagination to capture the most unusual aspects of the insect world. From a fluttering, oversized monarch butterfly to a gigantic Madagascar hissing cockroach, the exaggerated size of these creatures shines a creative spotlight on what makes them extreme. Visitors will experience a bug’s-eye view of their world, explore critter calls, dig for ancient arthropods, play a bug facts game, and learn why insects are so vital to our daily lives. A variety of live insects will be on view for close-up inspection in the adjacent “Butterflies!” exhibit and the Outside In children’s discovery center. Every Wednesday, Saturday and Sunday at 11:45 a.m. Academy experts will give short insect talks and answer questions. 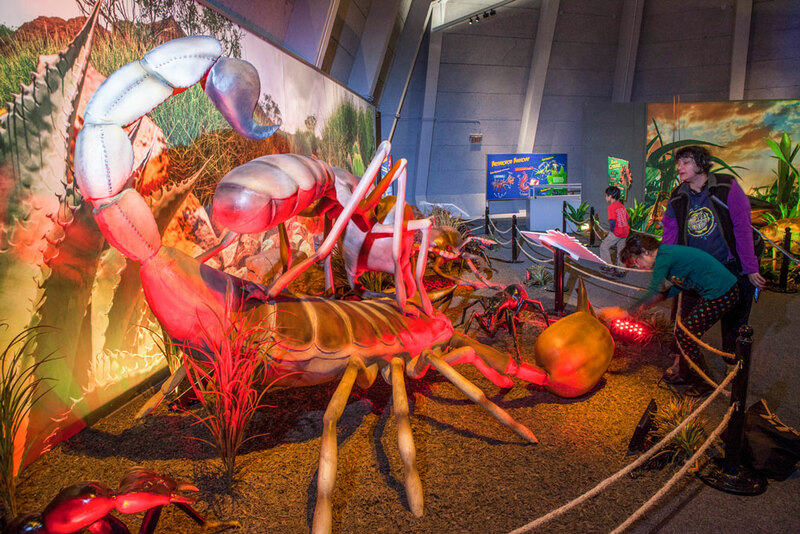 “Xtreme Bugs,” created by Dinosaurs Unearthed, Corp., will be on view through Jan. 21, 2019. The Museum’s hours are Monday–Friday, 10 a.m.–4:30 p.m. and Saturday–Sunday, 10 a.m.–5 p.m. Admission is $19.95 for adults (13 and over) and $15.95 for children (ages 3-12). 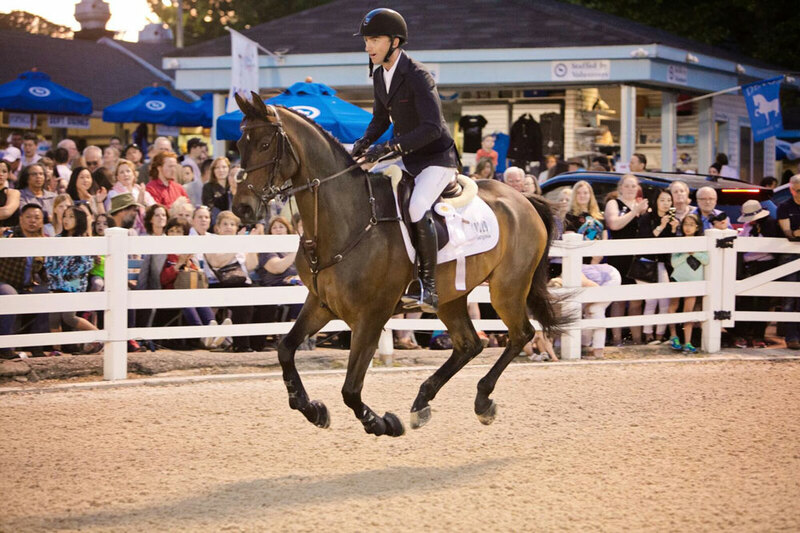 You still have a few days left to catch one of the area’s top festival events — the Devon Horse Show (Lancaster Avenue, Devon, 610-688-2554, www.devonhorseshow.org). This year’s 122nd Annual Devon Horse Show and Country Fair is running now through June 3. The Devon show is more than just another annual equestrian event. It is a family event that spans generations and traditionally marks the start of summer. More than 3,000 horses are entered in the Devon Horse Show in over 30 divisions and more than 200 classes with prize money totaling over a quarter of a million dollars. The equestrian competition reaches its peak the final few days with the Devon Grand Prix and the Idle Dice Open Jumper Stake. 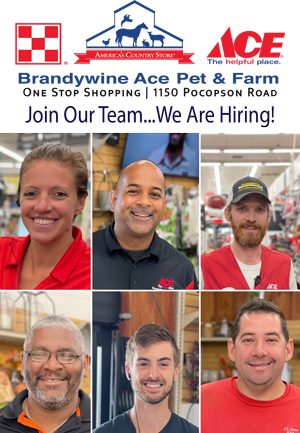 The Country Fair has food concessions, a garden café, sales booths featuring antiques, toys, hand-crafted items, Devon Horse Show souvenirs and over 30 other shops with jewelry, art, clothes and equestrian-related items. And, there is the Midway with its huge ferris wheel, old-time carousel and wide array of amusement rides and games. Admission is $15 for adults and $7 for children (under 12) and seniors (over 65). From June 1-3, the Mid Atlantic Air Museum (11 Museum Drive, Reading, 610-372-7333, www.maam.org) is hosting its 28th Annual World War II Weekend. The museum and its grounds will come alive with an event that features a huge air show with more than 80 vintage military aircraft, 200 restored military vehicles, 1,700 re-enactors and a wide array of artifacts. There will also be a variety of family-oriented activities. There will also be battle reenactments and live entertainment featuring Theresa Eaman, America’s Sweethearts, “Frank Sings Frank,” Delmas Wood as FDR, Martin Sisters Band and Spirit of the Airwaves Players. The long list of featured planes includes two B-29’s, two B-17’s, four B-25’s, a C-45, a C-46, three C-47’s, a C-54, a C-97, a P-63, P-51 and a P-40. Also in the line-up are an F4U, SBD-5, SB2C-5, FM-2 and TBM-3; numerous T-6/SNJ’s, a Buker Jungmeister, Japanese Kate and Val replicas plus many L-Birds, and PT’s. Acrobatics demonstrations include the P-51, P-40, F4U, Greg Shelton and his incredible FM-2 Wildcat, Kevin Russo and his SNJ and Jerry Wells in the Jungmeister. Additionally, the WWII Airborne Demonstration Team is also back by popular demand. Airplane rides will be available in 10 WWII bombers, transports, fighters and trainers. Tickets are $29 for adults and $10 for children (ages 6-12). The 2018 Chester County Blues Barbecue will be held on June 2 at Wyndsor Farm (2550 Ridge Road, Elverson, http://www.chestercountyblues.com). The event, which is sponsored by the Coventry Lions Club, is slated to run from 2-7 p.m. The festival is featuring three headline blues acts – Gary Allegreto, Vanessa Collier and Vooddo DeVille. And, there will be more music throughout the day. Prior to the start of the main stage show and during the breaks between bands, attendees will be treated to more blues music from local blues performers in the Sly Fox Beer Tent. Tickets are $15. Food, refreshments and beer will be available for purchase from vendors on site. Admission ticket does not include food and beverage. The organizers recommend bringing a folding chair for seating. Coolers are permitted. The site, which features the Marshall Steam Museum and the Auburn Heights Mansion, focuses on steam power when it presents “Steamin’ Days,” which run from 12:30-4:30 p.m.
Combo Tickets, which cover all rides and building tours, are $19 (13 and older) and $12 (age 12 and under). “Mansion Only” tickets are $12 and “Ride Only” tickets are $11. Special attractions include a “Firing Up” demonstration using a Stanley steam car, tours of the antique-furnished Auburn Heights Mansion (which was built in 1897), rides on the Auburn Valley Railroad and in select antique automobiles from the Marshall Collection. Also included is entry to the Marshall Steam Museum, which features the world’s largest operating collection of Stanley steam cars along with a 1930s working Lionel electric train display, a hands-on engine display, kids’ activities and exhibits. Much of the world’s tastiest cuisine comes from Mediterranean countries such as Italy, Turkey and especially Greece. Two of the area’s top Greek festivals are on the schedule for the next week. The Grecian Food Festival at St. Sophia Church Grecian Festival (900 South Trooper Road, Jeffersonville, 610-650-8960, www.stsophiachurch.org) is running now through June 3. Then, the 2017 Greek Festival at the Holy Trinity Greek Orthodox Church (808 North Broom Street, Wilmington, 302-654-4446, www.holytrinitywilmington.org) opens on June 5 and runs through June 9. The free, family-oriented festivals both feature amusement rides and games but they are side attractions. Without question, the main attraction is the food. The list of main dish items at St. Sofia’s festival has a wide variety of meat and vegetable items. Chicken Oreganato is Grecian-style chicken roasted with a mixture of lemon, oil and oregano, while souvlaki is grilled pork tenderloin marinated with special herbs. Gyros are pita sandwiches featuring a spice-infused ground beef-and-lamb mixture that is grilled, sliced fresh and served with tzatziki (cucumber and yogurt sauce), tomatoes, onions and olives. Pastitsio is a macaroni dish with braised ground lamb and beef that is topped with béchamel sauce and baked. A similar entrée is mousaka, which features layers of eggplant, potato, ground lamb and beef, which is then baked and topped with a light béchamel sauce. Saganaki is a dish with seared vlahotiri cheese that is flamed with brandy and lemon and served fresh. Greek Salad, which is always a favorite, includes lettuce, feta cheese, tomatoes, Greek olives, oregano, salt, onion, cucumbers tossed in a light olive oil dressing. Other selections that can either be a main meal or a side dish are tyropita, which is a Greek-style cheese pie in a crispy phyllo crust; spanakopita, which is a tyropita that has spinach added; and Dolmades, which are rice and meat wrapped in grape leaves. The menu at St. Sophia’s also includes a fried calamari dish with fresh lemon, and patates tiganitres, which are deep-fried potatoes that have been lightly seasoned with Greek herbs and spices and topped with feta cheese. For dessert, it’s impossible to go wrong with any of the traditional Greek pastries. The most well-known Greek dessert is baklava, which is made with multiple layers of thin buttered phyllo dough cooked with walnuts, spices and honey syrup. Kataifi features shredded wheat with chopped nuts and honey syrup. Loukoumades, the Greek version of doughnuts, are deep-fried and dipped in honey with a dash of cinnamon. Floyeres is a baked dessert prepared with thin layers of buttered pastry sheets, almonds, spices, and honey syrup.Galaktoboureko is a custard dessert baked between carefully placed pastry sheets and covered in syrup. Karidopita is a moist walnut cake with spices and syrup. Kok, which is the Greek version of Boston cream pie, is a chocolate-covered cake that is filled with custard. Diples are crunchy treats featuring crisp folds of thin rolled pastry dough that are deep fried and topped with syrup, cinnamon and nuts. The menu for the festival in Wilmington also features mousaka, pastitsio, tyropita, gyros, Greek salad, souvlaki, spanakopita and dolmades along with arni (baked lamb), chicken and orzo, keftedes (meatballs in tomato sauce), Greek-style string beans, plaki (baked fish) and Greek rice pudding. Greek Festivals also feature a lot of live music. Greek-American groups from the Delaware Valley will play popular Greek songs and standards at both festivals. There also will be performances of traditional Greek folk dances. The festivals will also offer tavernas, which are bistro-style sites for dancing and drinking. Other attractions at the free festivals are Greek grocery stores and sales booths with items such as Greek music, icons, custom-made jewelry, leather goods and fabric. There will also be a variety of children’s activities. Lancaster also has a lively First Friday celebration very month. 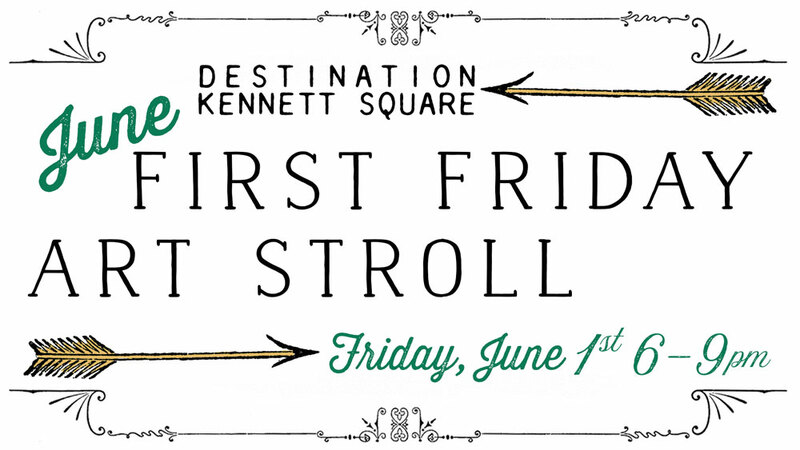 This month’s edition of First Friday Lancaster (http://www.firstfridaylancaster.com) will run from 5-9 p.m. on June 1 in downtown Lancaster. The event will feature attractive exhibitions at art galleries, artisan studios and museums. There will also be live performances presented in a variety of genres — professional theater, symphony orchestra and performing groups. Another interesting event in Lancaster — “Thank Heaven for the English Bill” — will take place on June 2 at Wheatland (1120 Marietta Avenue, Lancaster, 717-392-4633, http://lancasterhistory.org/visit/wheatland). Occurring on the first Saturday of the month from March through October, the Living History at Wheatland program consists of a series of interactive and engaging glimpses into the life and times of President James Buchanan and his family. Actors bring to life the people who lived here and the history of the site. These historical figures interact with one another and with their audience. The theme changes from month to month. On June 2, visitors can step back in time to June 1858. During a special first-person portrayal, visitors will not only have a chance to tour Wheatland, but also meet with President James Buchanan and his First Lady and niece Miss Harriet Lane as they prepare for their summer break from Washington politics. They can discover Miss Lane’s role as a fashionista, and why Senator William English’s bill in Congress is so important to the President of the United States. The Living History Program “Thank Heaven for the English Bill” takes place on Saturday with tours/programs at noon, 1, 2, and 3 p.m. Advance reservations are strongly recommended. Tour Guides in period clothing bring history to life as you walk through Wheatland, beloved home of our nation’s 15th President. Wheatland is located on LancasterHistory.org’s Campus of History which is located just west of the City of Lancaster at the intersection of Marietta and North President Avenues. There is ample off-street parking available. Another special event in Lancaster this weekend will be the “African-American Heritage Walking Tours” on June 2. Tours, which depart from the Lancaster City Visitor Center (38 Penn Square, Lancaster), are available at 11 a.m. and 2 p.m. The tour is a safe and easy walk that takes between 60 and 90 minutes. Comfortable walking shoes recommended. The walking tours visit sites such as black businesses on Penn Square; site of Elite Hotel; Thaddeus Stevens & Lydia Hamilton Smith Historic Site; Trinity Lutheran Church; Lancaster County Courthouse; Hamilton Club; Saint James Episcopal Church; site of the Lancaster Train Station; Shreiner-Concord Cemetery; Fulton Hall/Old Jail; and Central Market. An interesting and educational look at America’s past with a special focus can be found in downtown Philadelphia his weekend. Visitors to the old, historical district in Philadelphia on June 2 will be able to enjoy Fete Day 2018 at Elfreth’s Alley, which is located off Second Street (215-574-0560, http://www.elfrethsalley.org). From 1-5 p.m., the oldest residential street in America will be hosting a traditional festival with colonial flavor. The popular annual festival will feature Colonial crafts, music, storytelling, refreshments, scavenger hunts and a wide array of hands-on games. Historic Tours of the 32 historic residences on Elfreth’s Alley will be offered between noon and 5 p.m. Tickets are $25 for adults, $10 for students and $60 for families. On June 3, the Great Plaza at Penn’s Landing (201 South Columbus Boulevard, Philadelphia, www.delawareriverwaterfront.com) will be the site of the Irish American Festival. The event, which is part of PECO’s annual multicultural series at Penn’s Landing, will feature all things Irish — tasty traditional Irish food offerings such as Shepherd’s Pie, bangers and mash, and scones. The festival will present an array of Irish entertainment including pipers, Celtic bands and traditional step dancers. There will also be a variety of outdoor shops featuring authentic and traditional Irish goods. The Irish American Festival, which runs from 1-8 p.m., is free and open to the public. As part of Historic Philadelphia’s 12th anniversary celebration at Franklin Square (200 Sixth Street, Philadelphia, www.historicphiladelphia.org ), the organization is illuminating the park with its inaugural Chinese Lantern Festival. Now through June 30, Franklin Square will come alive every night with illuminated lanterns, handcrafted giant flowers and a wide array of other spectacular displays. All creations were constructed by lantern artisans from China. Chinese-inspired performances will take place in Franklin Square twice nightly. Performances, which celebrate Chinese performance art and entertainment, are 30-minutes long and are scheduled for 6:30 and 8:30 p.m. Sunday through Thursday and 6:30, 8:30 and 10 p.m. on Friday and Saturday. Festival hours are 6-10 p.m. Sunday through Thursday and 6-11 p.m. on Friday and Saturday. Admission is $18 for adults, $12 for youth, and $15 for seniors and military. This is a great time to visit Longwood Gardens (Route 1, Kennett Square, 610-388-1000, www.longwoodgardens.org). The biggest attraction at Longwood right now is the Festival of Fountains, which is running now through September 30. With fountains that jet as high as 175 feet, gardens filled with colorful summer blooms, shade-friendly trees, exotic day- and night-blooming waterlilies, and live music outdoors, Longwood gardens has something for everyone. The fountain project took two years and $90 million in renovations. The fountain features more than 1,300 jets and streams, a similar amount of LEDs, a variety of flame features and a wide array of plants from around the world. Longwood’s popular Main Fountain Garden has returned for a second season after attracting more than 600,000 guests last year with its 1,719 jets twirling and dancing to music. The fountains perform daily at 11:15 a.m., 1:15, 3:15 and 5:15 p.m.
Illuminated Fountain Performances are Thursday-Saturday evenings at 9:15 p.m. from May-August and at 8:15 p.m. in September. In addition to the Main Fountain Garden, Longwood is also home to a collection of other fountain gardens, including the enchanting Italian Water Garden and Open Air Theatre fountains, which also perform daily. The ultra-popular Festival of Fountains features the gardens in their summer splendor. Flowering annuals and perennials abound, as well as the breathtaking Waterlily Display that showcases aquatic plants from all over the world. Visitors can take a walk in the expansive Meadow Garden or enjoy a shady stroll among Longwood’s historic trees. The outdoor Children’s Corner features a garden designed just for kids, while the Idea Garden is a showcase of plant combinations, innovative vegetable gardens, and unusual plant varieties to inspire guests to try at home. The Beer Garden is open Thursday-Saturday evenings with alfresco dining and Longwood Signature Brews created by Victory Brewing Company using ingredients grown at Longwood. Regional artists perform live in the Beer Garden from 6-9 p.m. May through August and 5-8 p.m. in September. Video link for Main Fountain Garden — https://youtu.be/MX1DUqQ2wqg. Admission to Longwood Gardens is $23 for adults, $20 for seniors and $12 for youth (ages 5-18). On June 3, the Friends of the Arts Festival will be held at Quaker Hill Historic Preservation Foundation (521 North West Street, Wilmington, Delaware, 302-388-7176, http://quakerhillhistoric.org). The free event is slated to run from 1-4 p.m. The festival will feature talented artists in a variety of media including Eunice LaFate, Kaitlyn Altieri, Tom Tully, Christine Warheit, Augusto Amurao, Demitrius Bullock, and Madeline Porter. Visitors will be able to view and purchase watercolors, oils, and photography while enjoying a free musical performance by Wilmington Concert Opera courtesy of the DE Division of the Arts. There will also be free face painting and Cajun Sno treats for kids provided by Quaker Hill Historic Preservation Foundation. Visitors can also enjoy games, music, and food at the neighboring Wilmington Friends Meeting’s Berry Festival. The Philadelphia Comic-Con, which is scheduled to run from 10 a.m.-4 p.m. on June 3 at the Clarion Hotel Conference Center (76 Industrial Highway, Essington, 856-217-5737, www.philadelphiacomic-con.com), features comic books, trading cards and other collectibles — both modern and vintage. The popular collectibles event, which is the area’s longest running comic convention, will host dealers from all over the Northeast with sales booths featuring Gold & Silver Age comics, action figures, non-sport cards (including Topps “Journey to Star Wars: The Force Awakens”). Also featured will be Japanese Manga, gaming cards such as Pokemon and Magic the Gathering, original artwork and all the latest issues of today’s popular comic book series. The roster of top-flight vendors includes veteran dealers and relative newcomers. As an added attraction, there will be hourly door prizes beginning at 11 a.m. with $100 in show cash to be given away.